You already know the importance of utilizing a secure, bonded warehouse for storage of your wet and dry goods, yet sometimes finding one that can serve all your needs is tough. 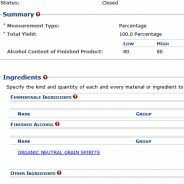 Our pricing model is virtually the most competitive in the country and since storing your finished product has a tax deferment advantage, you know you’re making a sound financial choice when using Temperance Distilling. 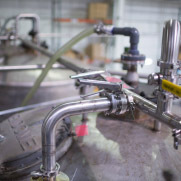 Whether you use us as your “one stop shop” from initial storage of your wet and dry raw materials, to production, to warehousing, to shipping and fulfillment, or any one service as a stand-alone, your products will be housed and handled in a bonded facility by people who’ve learned the ropes in this highly regulated industry. We’ll keep you compliant throughout the registration process and your inventory quality controlled, safe-guarded, and managed according to your specific needs. 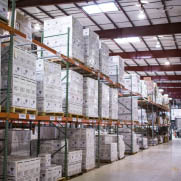 Learn more about the advantages of our highly flexible warehousing and distribution center by contacting us right now.